These delightfully illustrated 24 page board books are ideally sized for little hands. The simple text shows preschoolers how to discuss their everyday concerns with God, and to develop a strong relationship with him. 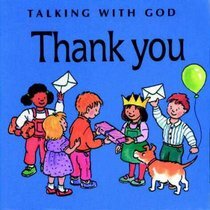 About "Thank You (Talking With God Series)"
This board book aims to help the very young explore their world and discover God's love for them.